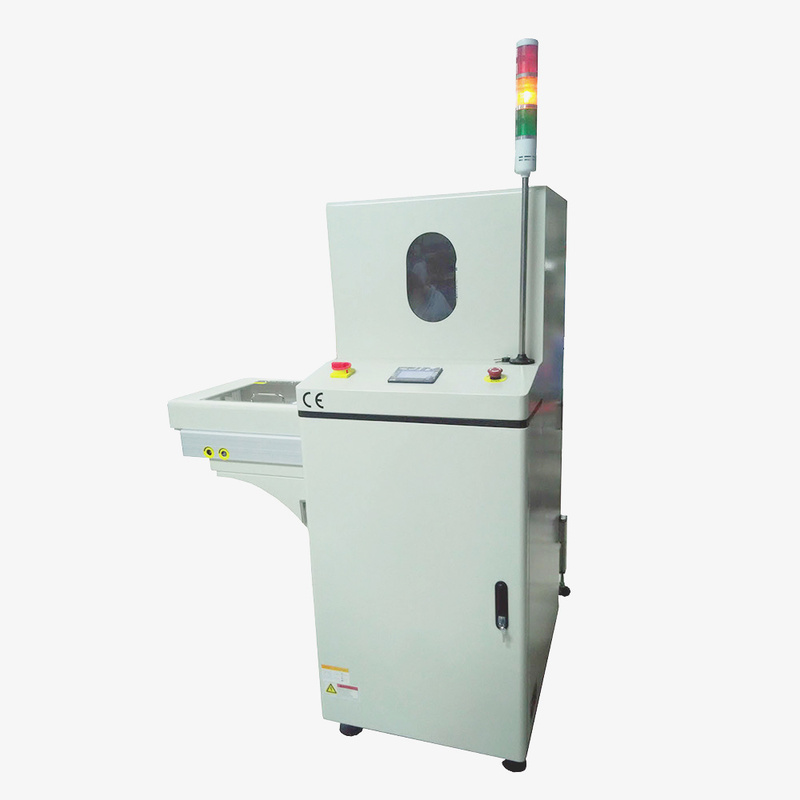 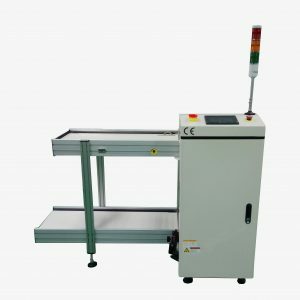 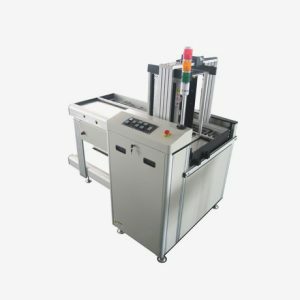 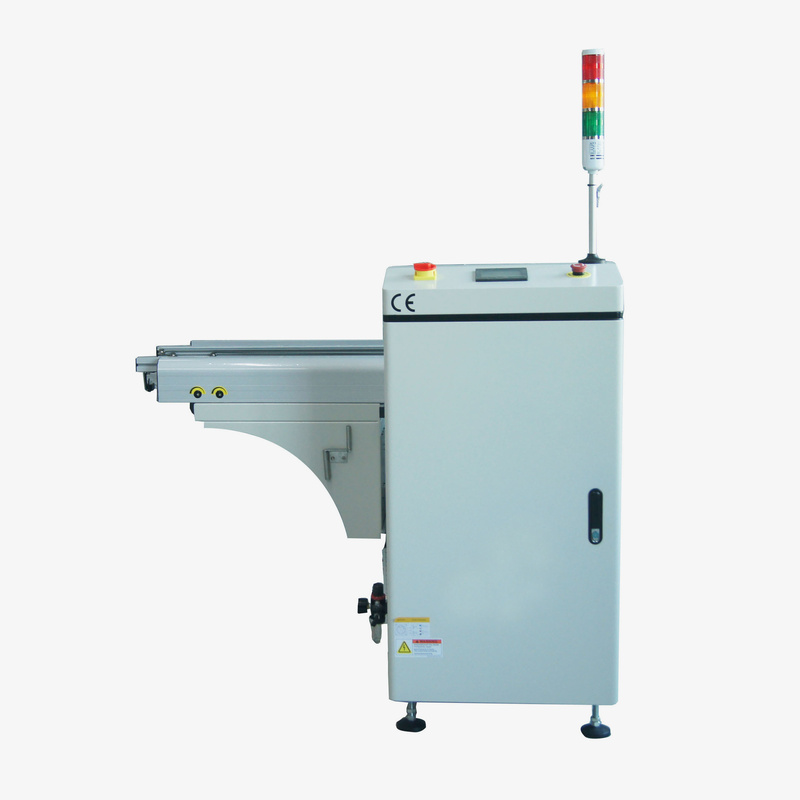 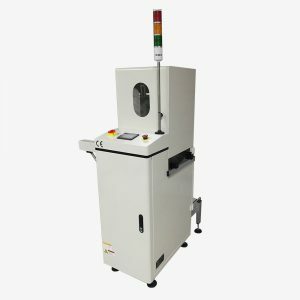 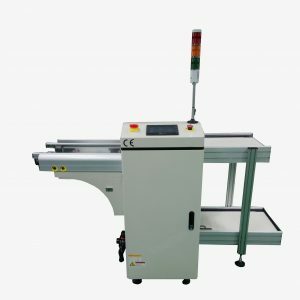 The Single Magazine Unloader is used at the end of the line for unloading of PCB’s from the production line. 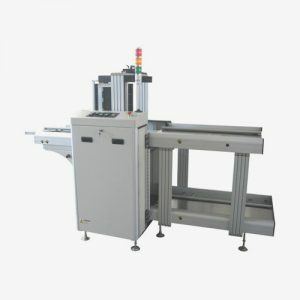 An arriving PCB is taken up by the attached conveyor and then pushed into the magazine by the pusher. 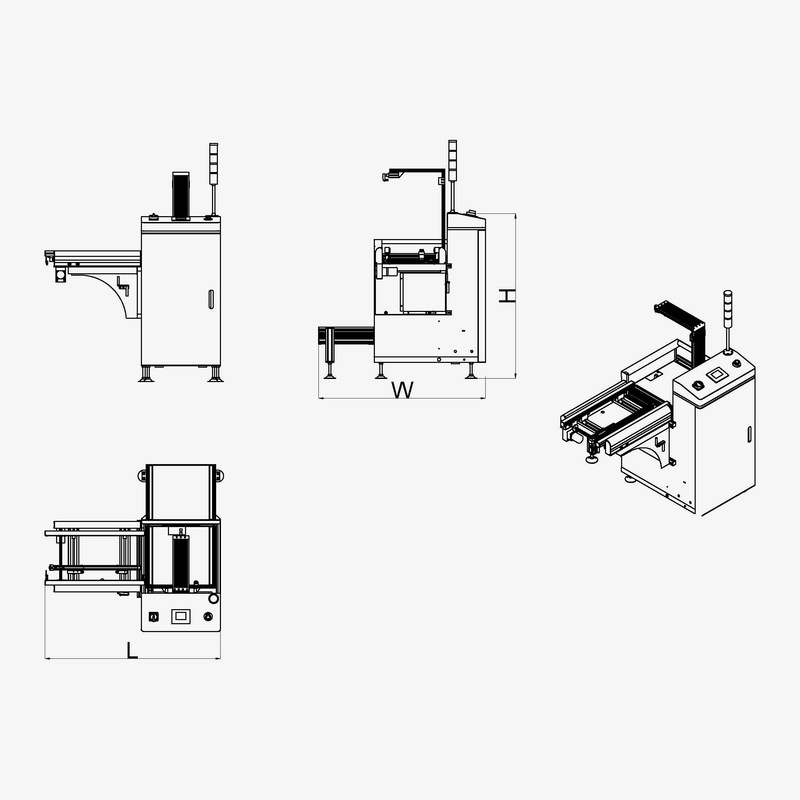 The magazine indexes to the next position and is ready for the following unloading cycle.